My father never made a big deal about days like today. He wholeheartedly appreciated any modest gifts I might give him–a tie, cufflinks, a gift card to Long Horn Steakhouse–but he didn’t expect them, and he never considered them to be his due. What he loved best were probably the photos I sent, especially the photo books I made for him. He wasn’t enamored of stuff. Daddy was, or at least seemed to be, to an almost extraordinary degree, perfectly content with his life in terms of the material and the intangible. While Daddy wasn’t one for long telephone conversations, he valued a quick call on Father’s Day or his birthday. I’d say I loved him, he’d say he loved me. These weren’t just words, although we said them often. 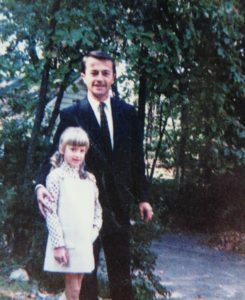 In recent years, upon hearing my voice on the line, he usually said, “You sound like my little girl.” Those words were a comfort. I could hear the laughter in his voice, see the smile in his eyes. They affirmed that I would always be his little girl. And I could always be certain of my father’s love. My ears won’t hear Daddy say those familiar words today. But they echo in my mind, and I will treasure them in my heart, forever. How blessed I am to be my father’s girl. 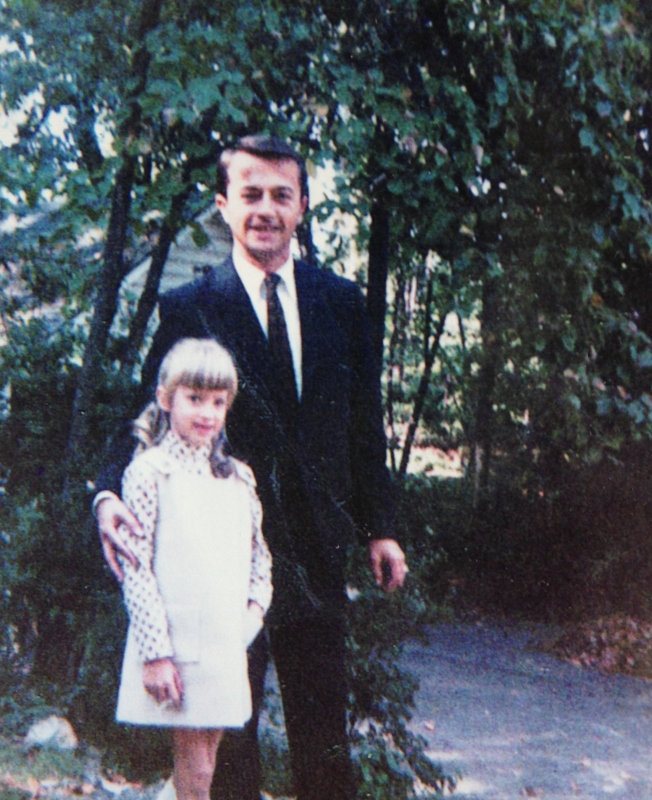 Daddy & me, in the back yard of what was then our new home in Atlanta, 1968. 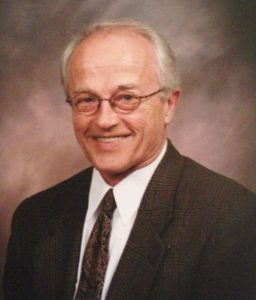 For other posts on my father, who died on July 22, 2016, see here, here, here, and here. Thanks so much. He always liked you, Libby. He appreciated the times you’d stop by to say hello during those last years.